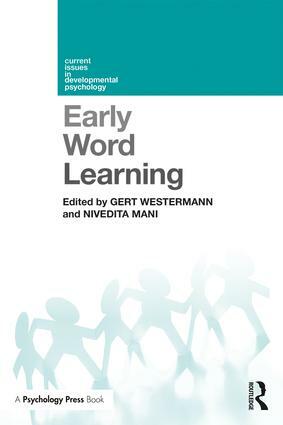 Early Word Learning explores the processes leading to a young child learning words and their meanings. Word learning is here understood as the outcome of overlapping and interacting processes, starting with an infant’s learning of native speech sounds to segmenting proto-words from fluent speech, mapping individual words to meanings in the face of natural variability and uncertainty, and developing a structured mental lexicon. Experts in the field review the development of early lexical acquisition from empirical, computational and theoretical perspectives to examine the development of skilled word learning as the outcome of a process that begins even before birth and spans the first two years of life. Drawing on cutting-edge research in infant eye-tracking, neuroimaging techniques and computational modelling, this book surveys the field covering both established results and the most recent advances in word learning research. Featuring chapters from international experts whose research approaches the topic from these diverse perspectives using different methodologies, this book provides a comprehensive yet coherent and unified representation of early word learning. It will be invaluable for both undergraduate and postgraduate courses in early language development as well as being of interest to researchers interested in lexical development. Gert Westermann is Professor of Psychology at Lancaster University. He is the Director of the Leverhulme Doctoral Scholarship Programme in Interdisciplinary Research on Infant Development and currently holds a British Academy/Leverhulme Trust Senior Research Fellowship. Nivedita Mani is Professor of Psychology at Georg-August-Universität Göttingen in Germany. In 2014 she won the Fritz-Behrens Stiftung’s Science Prize and became a Member of Göttingen Academy of Sciences and Humanities in 2017.